(Natural News) Bone fractures often heal by themselves, but they must be set properly and constantly tended to. That said, hastening the healing process would bring about plenty of benefits, ranging from minimized discomfort to reduced risk of further injury. 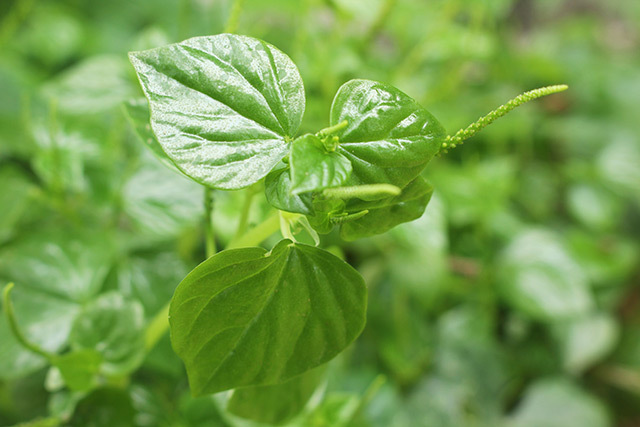 A study published in the journal BMC Complementary and Alternative Medicine discussed how the aqueous extract from Peperomia pellucida, also known as the man to man plant, can accelerate the healing of fractures in rats. The hardest part about recovering from a bone fracture is all the waiting. Bones regenerate, but they do so at a slow rate. While the bone recovers, one has to make adjustments just to be able to function normally. The ability to perform everyday activities like eating, driving, and working, among others, may be compromised in the process. Peperomia pellucida has been used in African ethnomedicine as a natural treatment for many conditions. Its effects on broken bones have not been investigated thoroughly, however. To determine if the plant did indeed speed up fracture recovery, the team of researchers gathered Wistar rats. They drilled a hole in the center of the animals’ femur – or in humans, the thigh bone. They then administered distilled water to the control group, while the experimental group received P. pellucida aqueous extract in doses of 100, 200, and 400 milligrams per kilogram (mg/kg). Another group was left uninjured but received the extract at a dosage of 400 mg/kg. After 14 days of treatment, the rats were sacrificed. The researchers assessed the animals’ body weight, blood, and relative weight of organs. They also took note of bone and biological serum parameters and performed radiological and histological tests on the injured femurs. They found that high doses of the extract caused an increase in body weight, while small doses increased the number of white blood cells. Interestingly, the lowest dose caused an increase in bone calcium while the highest dose kept this specific parameter within the normal range. Radiological tests revealed the formation of compact fibrocartilagenous callus at the site of injury. An examination of the extract’s mineral content revealed the presence of calcium, sodium, potassium, magnesium, and phosphorus. The researchers concluded that it was these minerals that gave the extract some of its ability to accelerate bone regeneration. Dairy – Milk and yogurt are essential sources of calcium and phosphorus, minerals needed by the body to build strong and dense bones. However, one needs to have more calcium than phosphorus as having more of the latter can lead to calcium being absorbed off the bones instead. Fatty fish – Tuna and mackerel are excellent sources of vitamin D, which is needed for the efficient absorption of calcium. Vitamin D is naturally produced by the body when the skin makes contact with sunlight, but since excessive exposure to the sun can be dangerous, eating foods rich in the nutrient is a good way to keep one’s vitamin D supply replenished. The nutrient is also found in eggs. Leafy vegetables – Greens are a good source of antioxidants. They also contain vitamin K which aid in the proper distribution of calcium to the bones in the body. Lean meat – Keeping one’s protein intake high during the bone healing process is a great way to ensure proper recovery. Protein helps in the absorption of calcium by the bones and in the release of factors that help bone renewal. Aside from lean meat, one can find protein in legumes, nuts, and fish. Prunes – These particular type of fruit, characterized by the presence of a central pit or seed, are rich in potassium. Not only does this mineral aid in proper blood circulation – which means that nutrients are distributed more efficiently – it also prevents bone resorption, the process in which the calcium in the bones are broken down and returned to the blood. Fruits like banana and avocado also contain plenty of potassium. Discover remedies for bone fractures and other injuries at Remedies.news.